The University of Waikato is delighted to offer High Achievement Scholarship for international students. The scholarship is available students who first enrol in an undergraduate degree in the preceding 12 months, and have subsequently completed the first 120-pts towards an undergraduate degree at the University of Waikato. Study Subject: Scholarship is awarded in any of the courses offered by the university. Scholarship Award: The value of the Scholarship will be 15% of the International enrolment fees for the next 120- points of study. The scholarship will be applied to the second year of full-time (120 points) international enrolment fees of the undergraduate degree. The value of the Scholarship will be 15% of the International enrolment fees for the next 120- points of study. Students who are required to undertake a Waikato Pathways College programme prior to entering an undergraduate degree will be eligible to be considered for the scholarship after they have completed 120 points towards an undergraduate degree at the University of Waikato. Entrance Requirements: University of Waikato international full fee paying students who first enrolled in an undergraduate degree in the preceding 12 months, and who have subsequently completed the first 120-points toward an undergraduate degree at the University of Waikato. English Language Requirement: Applicants whose first language is not English are required to provide satisfactory evidence of English language proficiency, generally in the form of an IELTS or TOEFL score. How to Apply: There is no application process for this scholarship. Eligible candidates will have their results assessed automatically at the end of their first year of undergraduate degree study. 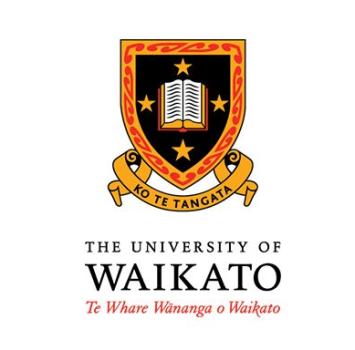 Now that all the information about University of Waikato High Achievement Scholarship for International Students has been delivered nicely; talented students who are eager to pursue their Free Tuition/Scholarships/Study in New Zealand for Undergraduate, Bachelors, Postgraduate, Masters, PhD, Associate Degree and Other Degrees, can apply now.